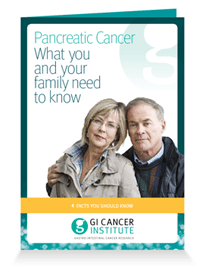 Information booklets are available for you to download for free. 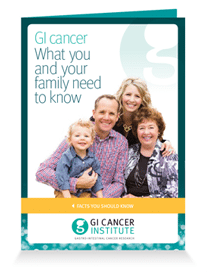 Prepared by the GI Cancer Institute, these booklets provide useful information about GI cancer – including bowel cancer, pancreatic cancer and Biomarker testing – that you and your family need to know. 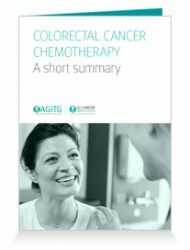 Information booklets are available for you to download for free. 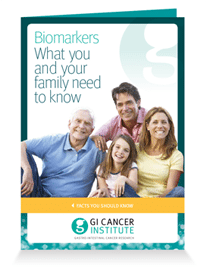 Prepared by the GI Cancer Institute, these booklets provide useful information about GI cancer – including bowel cancer, pancreatic cancer and Biomarker testing – that you and your family need to know. 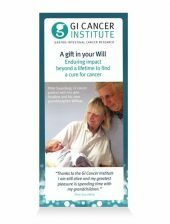 The booklets include general information about research, prevention, treatments, support and other available resources. 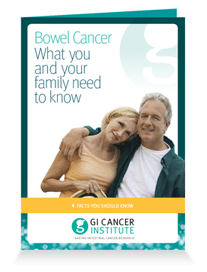 For information specific to your own circumstances please check with your doctor. You can also request a copy be sent to you by mail. Simply fill in the form on this page.